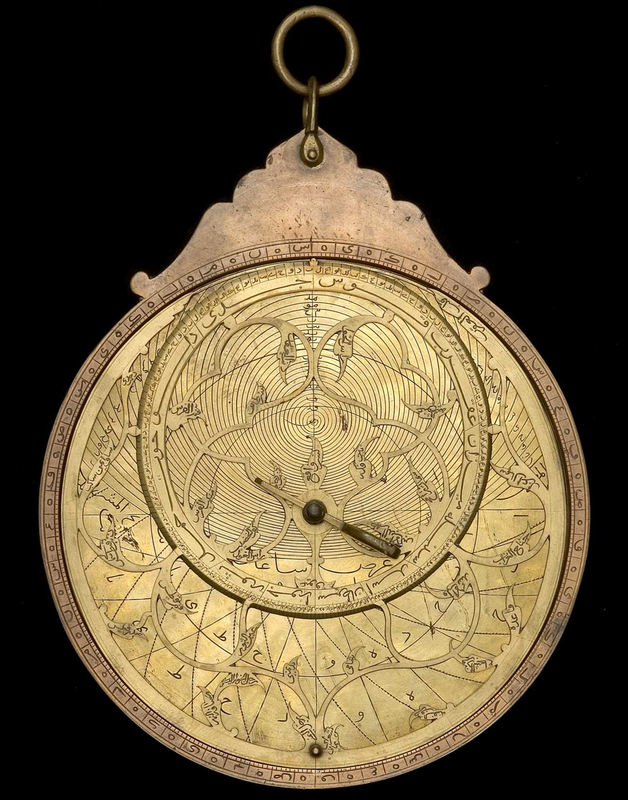 The only spherical astrolabe that survives is this one made in A.H. 885 (1480 CE), most likely somewhere in present-day Syria. Today it is in the Museum of the History of Science, item # 49687. 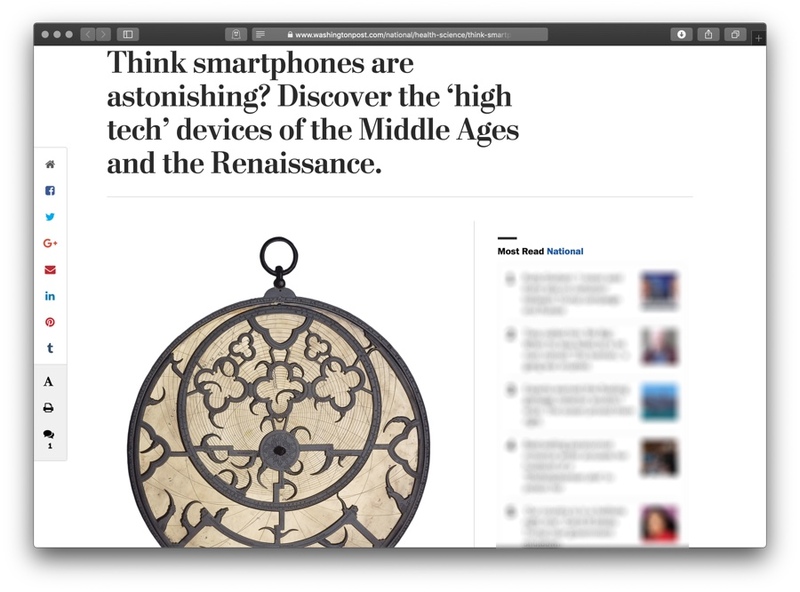 The most common type of astrolabe is the planispheric astrolabe, which works by projecting the sphere of the heavens onto a plane in a way that preserves angular distances and allows the user to carry out a wide variety of calculations. 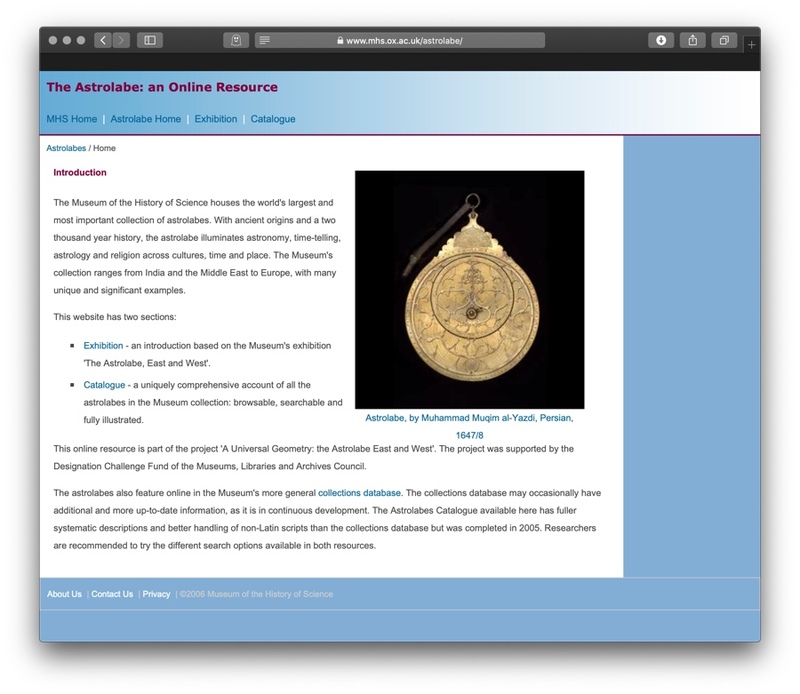 The rarest form type of astrolabe is the spherical astrolabe. 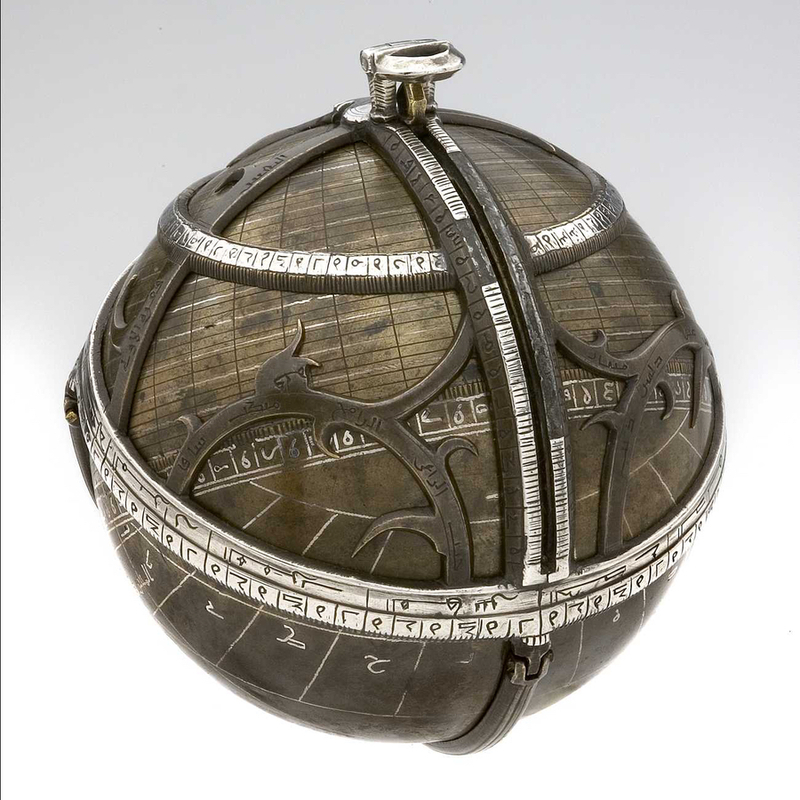 Although Latin and Arabic descriptions of such instruments exist, and other sources indicate that some mathematicians might have owned spherical astrolabes, only this single example survives. 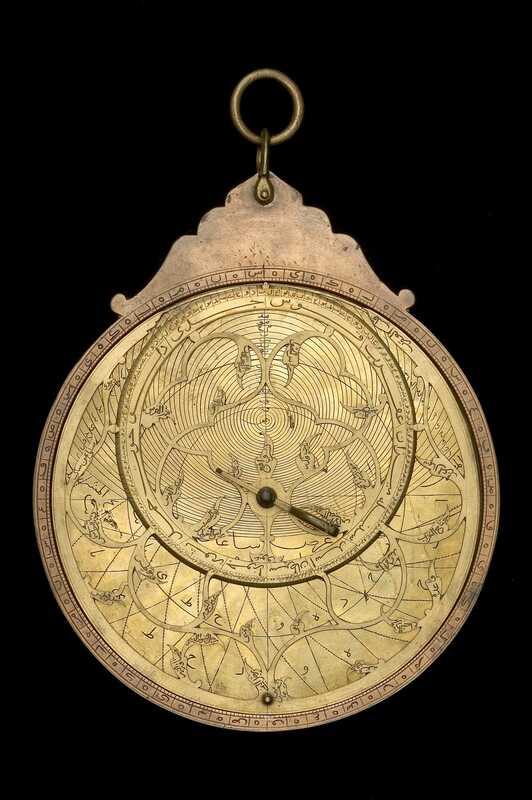 This astrolabe is about the size of a baseball, . 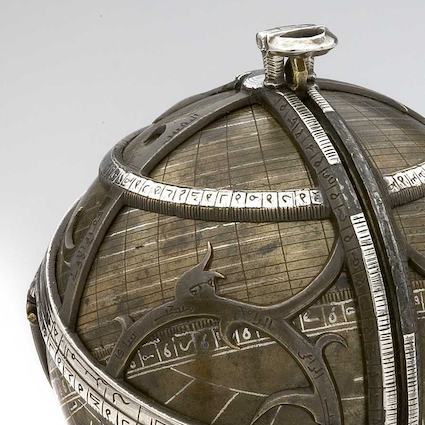 The rete on this astrolabe is a cage-like structure that would rotate around the globe inside it. 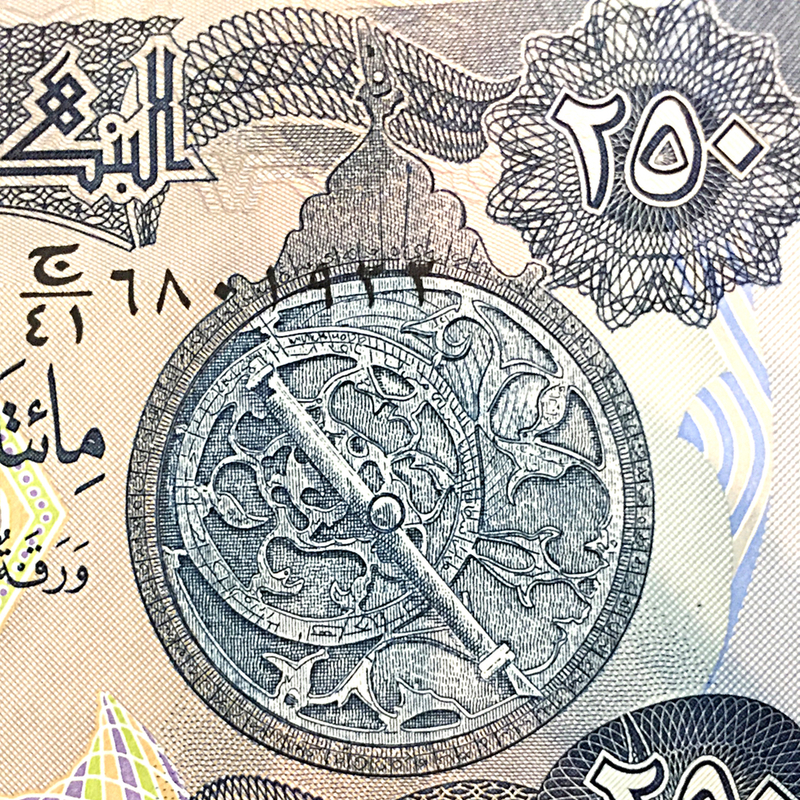 As with the rete on a planispheric astrolabe, this one includes a number of bright stars, 20 to be precise, a zodiac, and a meridian line. 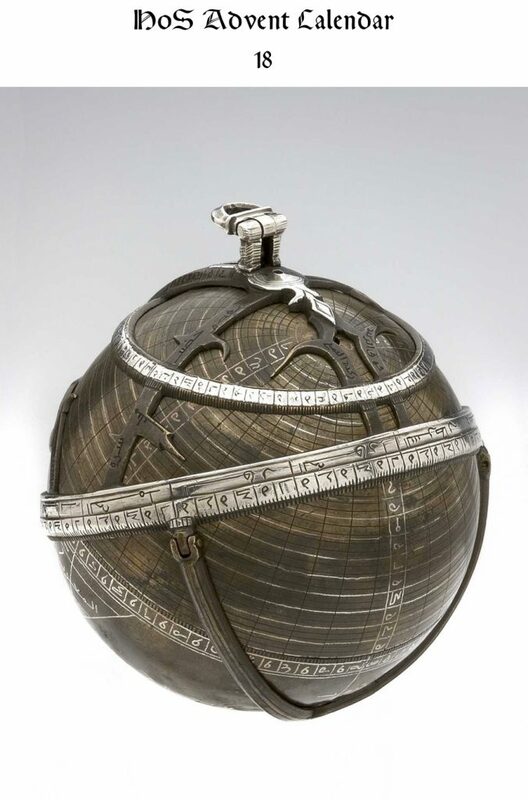 Unlike a planispheric astrolabe, which has different plates engraved for each latitude to depict the portion of the sky above the horizon at that latitude, this spherical astrolabe as a single “plate”—the globe on which the heavens are depicted. To adjust it for each latitude there were a different holes in the globe. A pin was inserted through a hole the cage-like rete and into the hole in the globe, both fixing the portion of the sky visible from the latitude and providing a point around which the heavens would rotate. The maker signed and dated the globe, “The work of Mūsa. 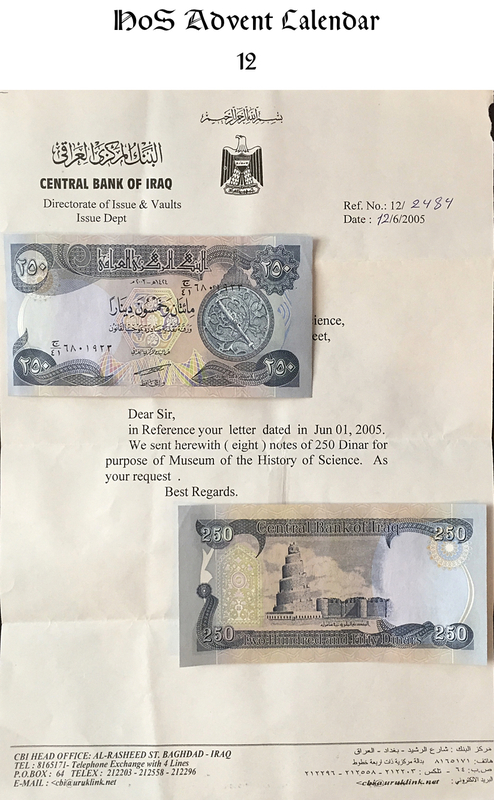 Year 885.” Unfortunately, we know nothing more about the maker, whose name is rather common. Based on the decoration and calligraphic style (a Kufic script, if you care), it seems likely to have been produced in the Eastern Mediterranean somewhere, probably Damascus or Cairo. If you want to see more, it is Museum of the History of Science, item #49687.